Greg’s trip to PNG was fantastic! The lodge accommodations are beautiful, the Sepik Spirit boat luxurious, the people friendly, and Greg, our U.S. guide, extremely helpful. There was just a bit of “down” time on the trip, so I was most grateful for all the articles which were supplied to all participants on a day-to-day basis in preparation for what we were about to see. I also appreciated the opportunity to hear from local people about their lives and to be able to ask them questions. Greg supplied us with snacks between meals, which happens on my treks to Nepal, but not elsewhere. However, what really astonished me was that Greg foresaw our needs. For example, he brought extra cameras in case anyone had camera trouble, which in fact happened to one of our party. He also was a walking bank, helping out with money when we ran out. On shopping forays he advised us on artifact purchases, letting us know what was rare, what was authentic old style vs what was the new style of carving. He looked after our well-being and nothing bad befell anyone on this trip. What a pleasure to re-live it as I pour over hundreds of beautiful pictures and slides! 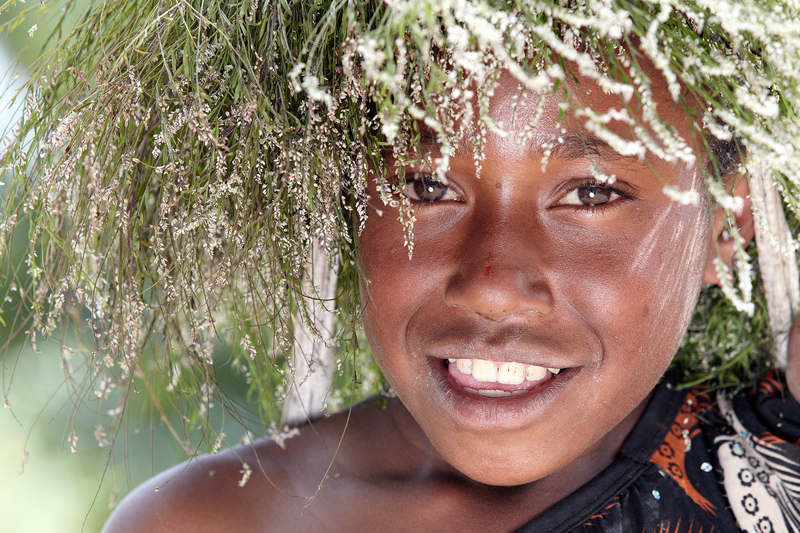 PNG is a photographer’s paradise! For those who want to visit PNG in security and comfort, this is the way to go. Every single aspect of this trip was terrific. We couldn’t have asked for a more well planned and fabulous time. I must commend Greg for his perseverance in organizing what was an amazingly trouble free trip. I know there must have been a lot of behind the scenes work all along the way. The accommodations were unbelievably atmospheric and more than comfortable. That was a big surprise. The food was also much, much better than expected. Management at the lodges and on the Sepik River was superb. At Ambua, the Spirit Dance, the Sing-Sing at the lodge, and the visit to the wig school were simply outstanding. What an opportunity for picture taking and getting to know the people! The excursion to the widows was rewarding in that they were certainly dressed to the nines, and very friendly. The talks at the lodges were very informative. I think every single thing was well chosen, well timed and fabulous. The Sepik was amazingly comfortable, simply superb. The Sing-Sing was fabulous…especially the second day when things really heated up! The Highlander Hotel was good. It was definitely an experience of a lifetime! The planning was outstanding in every respect. We would recommend the trip to anyone. Our trip to New Guinea is still high in our minds. We still can’t comprehend all we saw or experienced. You’re right the juxtaposition of the Chimbu Players the same day we left for Sydney and saw Des Rheingold at the Sydney Opera House was mind-boggling. We have had such a good time with our artifacts. much thanks for helping us bargain for them. -JESSE AND NAOMI TAUB, NJ. I didn’t have a chance to tell you how very special I thought your tour was. P.N.G. would probably have been wonderful under any circumstances, particularly with such a good group selected. Nevertheless, a good deal of the credit belongs to you, your planning, concern, caution, knowledge, and appreciation of and enthusiasm about the country and its people and the culture. I think we all felt, and I know I did, that you made the trip an extraordinary experience, and that I’m grateful I was able to get to see P.N.G. in part through your eyes. The two weeks we all shared were ones I’ll always treasure. We thought our trip was fantastic and would certainly recommend it to anyone interested. This country is without a doubt the most interesting spot I’ve encountered. Good service, spectacular beauty, many spoke English, there were smiles everywhere, friendliness, Karawari is heaven on Earth, and I can hardly wait to share this experience.